Whenever you create or grow a business, you want to be innovative. That means taking advantage of the latest building trends and finding practical ways to reduce costs. Using a portable office building can be a great way to create an innovative office space without all of the hassles. A simple online buying process can make getting the portable building of your dreams a reality. Pre built portable building offices have a number of different purposes. They can be included in almost any property easily and flexible designs make them a great choice for schools, churches, warehouses and construction sites. With low price points, portable buildings are one of the easiest ways to grow your property. 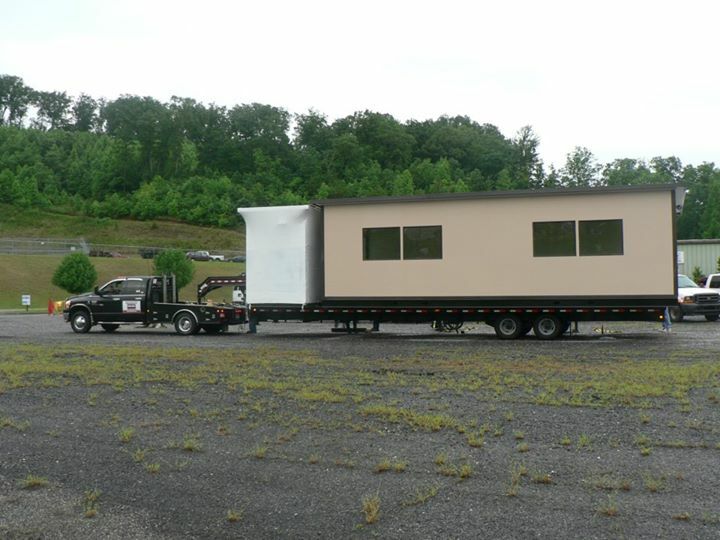 One of the biggest benefits of working with a portable building system is that it can be placed anywhere. Previously unused space, such as an old parking lot or field, can easily be turned into a building with very little modifications. 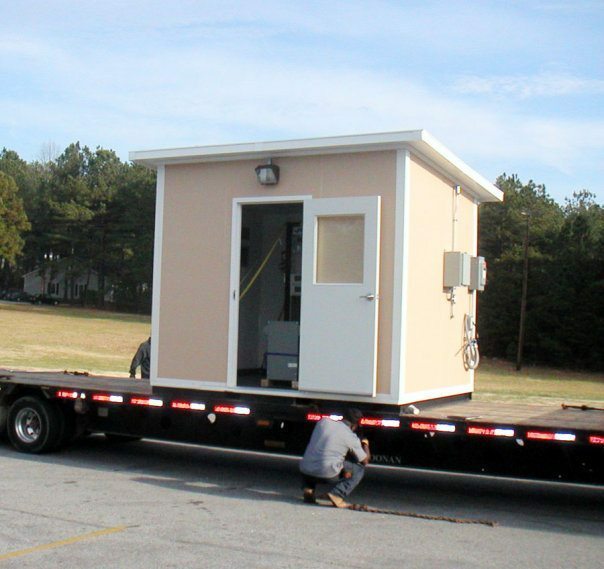 If the portable building needs to be moved as business modules change, it can be lifted and transported to a new location. The building can also be sold should the business feel the need to downsize. Cheap pre built portable building offices available can also be made to your exact specifications. Your business will use the portable building panel kits to your advantage as you discover the many ways to customize your building. The size of your building can be large or small. Many businesses start out with a simple kit and then expand as soon as their business increases. Your portable building panel kits can also include a number of interesting features. Elaborate HVAC systems keep you and your employees comfortable all year round. Additional offices, storage spaces, break rooms, kitchens or bathrooms can make your employees feel right at home. Customize the exterior as much as the interior with a variety of finishes, doors and windows. This gives you the ultimate control over the design and layout of your portable building. Finding the portable building kits of your dreams isn’t always an easy task. Working with a company online allows you to easily research the manufacturer and product alike. The best portable building kits online will be featured on manufacturer’s pages. This helps you get a great idea of the level of quality each builder can provide. Panel Built, for example, is an online portable building company that is well-known for producing quality buildings that you can be proud to call your own. It isn’t always a matter of who has the best portable building kits online, but whose can withstand the tests of time. Because of Panel Built’s attention to detail and high level of quality, their portable buildings can withstand even extreme weather conditions like earthquakes and hurricanes. Even normal conditions like heat, snow, ice or wind don’t affect the quality of these sturdy buildings. Cheap pre built portable building offices available online from Panel Built help you get the most out of your investment. This experienced company wants to make sure that you have the durable building you need to improve efficiency and be successful. Portable offices are very different from traditional buildings. Each portable office starts as a kit that is manufactured off site. The benefits of portable building kits include an easier construction and less of a mess. You won’t have to worry about tripping over construction parts, dusty buildup or loud noises when you are trying to work. Instead, it is business as usual after you place your order. The process starts when you contact one of Panel Built’s friendly customer service representatives. They will answer any questions that you may have about modular building before getting a good idea of what your needs as a business are. They will go over a series of designs with you before giving you an estimate. After your order is placed, all you need to do is wait for your finished building to arrive on site. The building is assembled at Panel Built by experienced technicians. They examine every fine detail and make sure that everything matches your exact specifications. The building process itself is also much faster, allowing you to get a better overall quality when compared to traditional building. The construction process is completed in a few short weeks. Some smaller buildings can be completed in just a few days. This helps you get the space you need as quickly as possible. Compare that to the weeks or months it can take to erect a small traditional building! If you are wondering where to find portable buildings online, look no further than Panel Built. Panel Built has years of experience helping businesses get the portable offices of their dreams. Their online system allows them to cut costs without sacrificing quality. You will be able to enjoy a great office space that will last you and your business for years. Feel good about the investment you are about to make into your business. Contact Panel Built today to learn more about prefabricated office buildings and how they can help your business grow.